The only child of a cart puller in Haryana, Rani was destined for glory since her childhood. 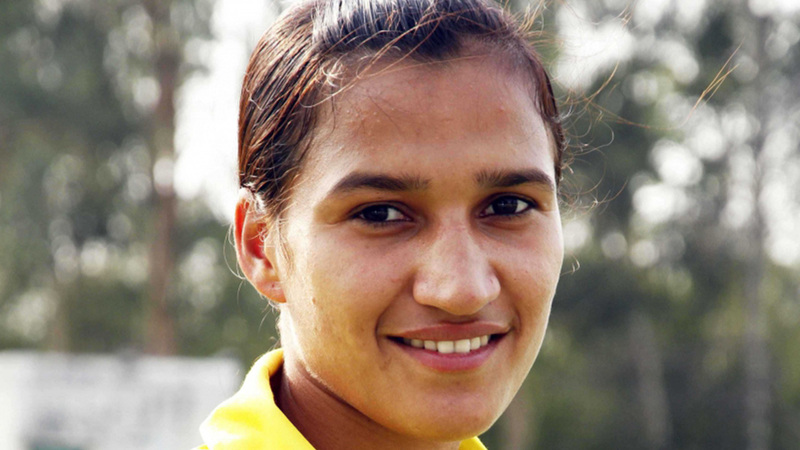 Aged 15 years at the 2010 Hockey world Cup, she was the youngest player to wear the national colours and play for the country. A prodigy, a deadly combo of skill and accuracy, Rani Rampal has provided a much needed boost to the Indian women’s hockey team. Leading by example, she has been appointed the captain of the team. Donning the captain’s role with authority, she led the team to victory in the Asia Cup after 13 years and through the qualifiers for the World Cup in 2018. The next stop for her team is the Olympics, to gain back lost glory in the sport, Rani is positive that the team’s current form and performance will ensure an Olympic berth in 2020. Her dedication to the sport is immense and is visible in the fact that she continued to play for the junior and senior team at major international events managing to excel in both formats. GoSports supports her through the PACE scholarships by providing a monthly stipend.